The JACK Quartet kicks off the June in Buffalo Performance Institute with Feldman's String Quartet No. 1 at Buffalo's historic One M&T Plaza! The Center for 21st Century Music is gearing up for the first year ever of the June in Buffalo Performance Institute, which invites performers with an interest in contemporary music to take part in an intensive 10-day festival of concerts, master classes, and seminars. Held on the campus of the University at Buffalo, the 2013 Performance Institute invites pianists, string players, and percussionists as well as pre-formed string quartets and percussion ensembles to apply. All participants will have the opportunity to study and collaborate with Performance Institute faculty and perform as well as attend June in Buffalo composer workshops and concerts. The Performance Institute coincides with the annual June in Buffalo Festival for composers and will run from May 30th - June 8th, 2013. There is still time to apply to the June in Buffalo Performance Institute – the postmark deadline is February 15, 2013. More information can be found here. The opening weekend of the June in Buffalo Performance Institute will be jam-packed with events. 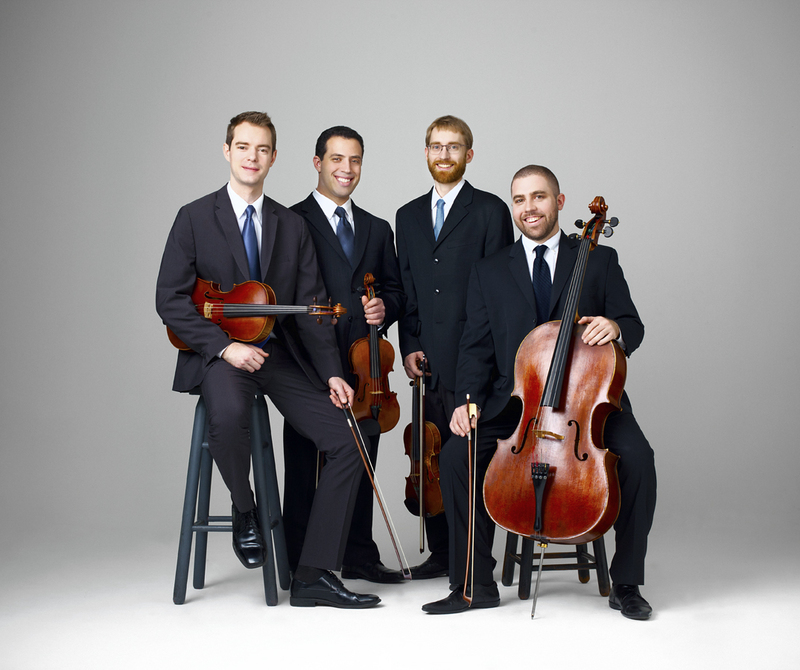 The Institute kicks off on Thursday, May 30, at 6:30 p.m., when the JACK Quartet will offer a concert of Morton Feldman’s String Quartet No. 1, at One M&T Plaza. One M&T Plaza is a special historical building and office tower in downtown Buffalo which was designed and built in 1966 by Minoru Yamasaki, who was the architect for the World Trade Center in New York City. The concert will also be part of the Center for 21st Century Music’s Music in Buffalo’s Historic Places series, and will open with a brief presentation by UB Professor of Architecture, Brian Carter, who in 2011 published the book, M&T Bank, about the history and design of the building. Friday’s and Saturday’s concerts will both take place at 8:00 p.m. in Slee Hall, at the University at Buffalo. On Friday, May 31, pianist Eric Huebner will premiere Velocity and the Grain of Time for solo prepared piano by Eric Wubbels, as well as give a world premiere of a new work by Roger Reynolds. The next day on Saturday, June 1, Talujon Percussion Ensemble will perform Steve Reich’s Drumming, and other works recently commissioned by Talujon. The opening weekend will conclude on Sunday, June 2, at 6:00 p.m., at the Pausa Art House in Allentown, Buffalo, one of Buffalo’s liveliest areas. There, the June in Buffalo Festival will throw a welcome party for faculty and participants and offer special guest performances. , Talujon Percussion Ensemble, and students of the Performance Institute. Tim Fain offers a masterclass at Kleinhans! We at the Center are gearing up for Tim Fain's critically-acclaimed multimedia work Portals, at 7:30 p.m. on Friday, Jan. 25, in the Drama Theater in the Center for Performing Arts. We are also pleased to report that the next day, on Saturday, Jan. 26, Fain will offer a question-and-answer session and masterclass in Kleinhans Music Hall, where he will mentor three young students from the Buffalo area. "A masterclass and question-and-answer session with Fain will take place at 10:30 a.m. Saturday, Jan. 26 in the Mary Seaton Room at Kleinhans Music Hall, 3 Symphony Circle, Buffalo. It is free and open to the public. The Mary Seaton Room will be given a coffeehouse feel, with complimentary hot beverages and pastries. "Three local music students have been chosen to receive coaching. Mandela Namaste is a sophomore at Williamsville East High School and a student at Buffalo Suzuki Strings. Teagan Faran is a junior at Williamsville East High School and performs with the Greater Buffalo Youth Orchestra. Amirah Muhammed serves on the BPO Youth Outreach Committee, and is a homeschooled 11-year-old who studies at the Muhammad School of Music. Fain will also answer questions from the audience. Anyone wishing to attend the masterclass may reserve a free space at www.bpo.org. "Fain performs on a 1717 violin made by Francesco Gobetti in Venice. The violin is on loan to him from Clement and Karen Arrison through the Stradivari Society of Chicago. Karen Arrison serves on the Buffalo Philharmonic Orchestra's board of trustees and spearheaded the efforts to bring Fain to Western New York." 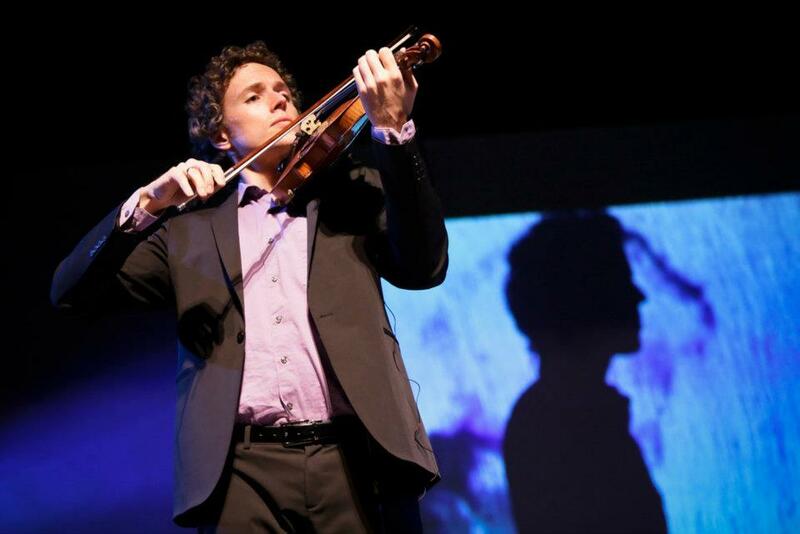 Virtuosic violinist Tim Fain performs critically-acclaimed Portals at UB! We’re excited to welcome the immensely talented and strikingly charismatic violinist Tim Fain to the University at Buffalo to perform his innovative and critically-acclaimed multi-media project, Portals, which integrates music, dance, spoken word, acting, and video, to explore longing and connection in the digital age. The Buffalo Philharmonic Orchestra and the University at Buffalo, along with media sponsor WNED, will present Tim Fain's Portals, at 7:30 p.m. Friday, Jan. 25, in the Drama Theater in the Center for Performing Arts on the University at Buffalo's North Campus in Amherst. Tickets range from $15 to $30 and are available by calling the Slee Hall box office at (716) 645-2921. “Combining music with film, dance and spoken word, Portals explores the ways in which we communicate, and, through communication, find meaning in the digital age. In an era when our expressions of love and sorrow, of togetherness and longing—such private emotions—are sometimes displayed so publicly on the web, the potential for artistic communication through digital media is endless. The creative team and I set out to expand the boundaries of possibility in live performance whereby the performers and artists appear onscreen as if signing on (over Skype, iChat, etc. ), each from his or her respective private space, interacting with each other as well as with me on stage. 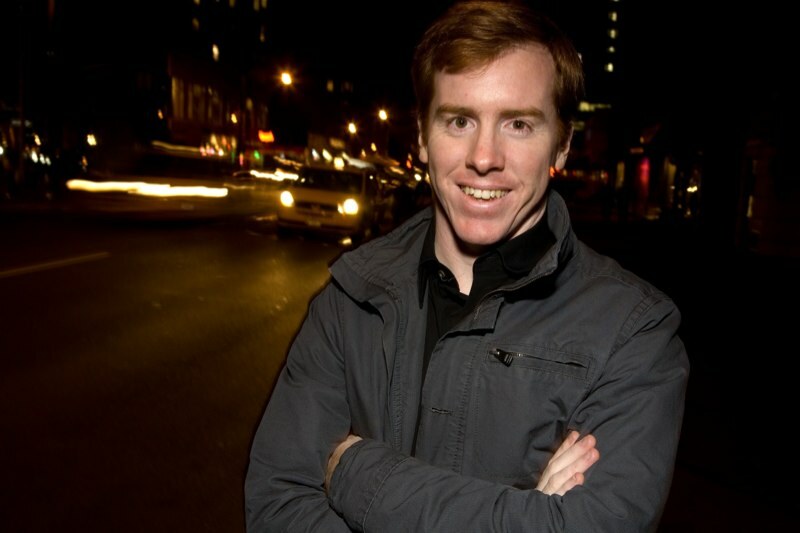 Portals was conceived by Tim Fain, who acts as the producer and creative director and is joined by co-producer and noted film director by Kate Hackett. It was born out of collaboration between Fain and Benjamin Millepied, the choreographer for the acclaimed 2010 film Black Swan starring Natalie Portman. As Fain plays his violin, actors, dancers, and other musicians accompany him on screen. Portals features the works of several composers, with the centerpiece being a new work by Phillip Glass specifically written for Fain. The project has been profiled in Vanity Fair, The Wall Street Journal, and The New York Times, and integrates original music by a a diverse collection of composers, including: Lev Zhurbin, Nico Muhly, Aaron Jay Kernis, Philip Glass, William Bolcom, and Kevin Puts; and features dancers Craig Black, Julia, Eichten, and Haylee Nichele. Nicholas Britell joins the cast on piano, along with spoken word actor Fred Child, who recites text written by the well-loved American poet and musician Leonard Cohen. “Avery Fisher Career Grant-winning violinist Tim Fain was selected as one of both Symphony and Strad magazine’s “Up-and-Coming” musicians, and was, most recently, seen on screen and heard on the Grammy-nominated soundtrack of the hit film Black Swan, and heard as the sound of Richard Gere’s violin in Fox Searchlight’s feature film Bee Season. 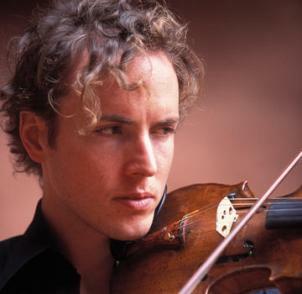 Recipient of the Young Concert Artists International Award, he made his debuts with the Brooklyn Philharmonic and Baltimore Symphony, with Marin Alsop conducting, and appeared as soloist with the Orchestra of St. Luke's, Mexico City Philharmonic, Maryland, Cincinnati Chamber Symphony, Mostly Mozart Festival Orchestra and Curtis Symphony Orchestra at Philadelphia’s Kimmel Center, the Hague Philharmonic, among others. Equally at home in virtually all genres of music, he is a fervent champion of 20th and 21st century composers with a repertoire ranging from Beethoven to Corigliano. His recitals have taken him to the Ravinia Festival, Kennedy Center, Amsterdam’s Concertgebouw, Boston’s Gardner Museum, Mexico’s Festival de Musica de Camera, Carnegie’s Weill Recital Hall, California’s Carmel Mozart Society, and New York’s 92nd Street Y. Portals has toured throughout the world including to New York City’s Symphony Space, Santa Monica’s Broad Stage, Australia’s Melbourne Festival and beyond. “He has collaborated with such luminaries as Pinchas Zukerman, Richard Goode, Jean-Yves Thibaudet, Mitsuko Uchida, has appeared with the Mark Morris Dance Group, Bill T. Jones/Arnie Zane Dance Company, and appeared onstage with the New York City Ballet, performing alongside the dancers in the acclaimed premiere of Benjamin Millepied’s Double Aria. He has also worked with jazz pianists Billy Childs and Ethan Iverson (The Bad Plus), guitarist Rich Robinson (Black Crowes), and appeared at Jazz at Lincoln Center with Rob Thomas (Matchbox 20). 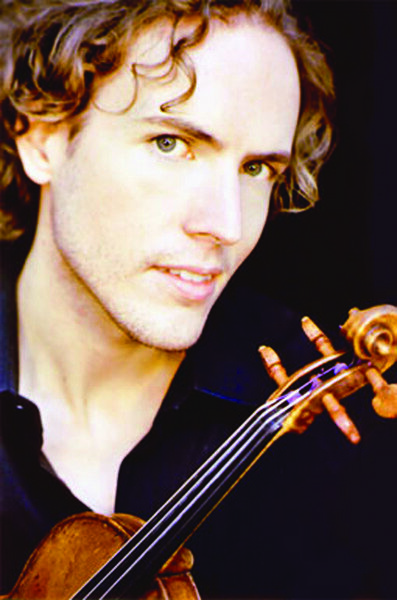 A sought-after chamber musician, he has toured with Musicians from Marlboro, appeared with Chamber Music Society of Lincoln Center, performed at the Spoleto, Ravinia, and Santa Fe Festivals and continues to tour internationally in a duo-recital program with Philip Glass. Tickets: $15 to $30, available at the Slee Hall box office, (716) 645-2921.